In the music world, the inability to clearly categorize an album usually decreases its mass appeal. In other words, musical creativity doesn't sell records. As a result, loads of great "not quite this, not quite that" albums have been quietly forgotten. This is one of them. 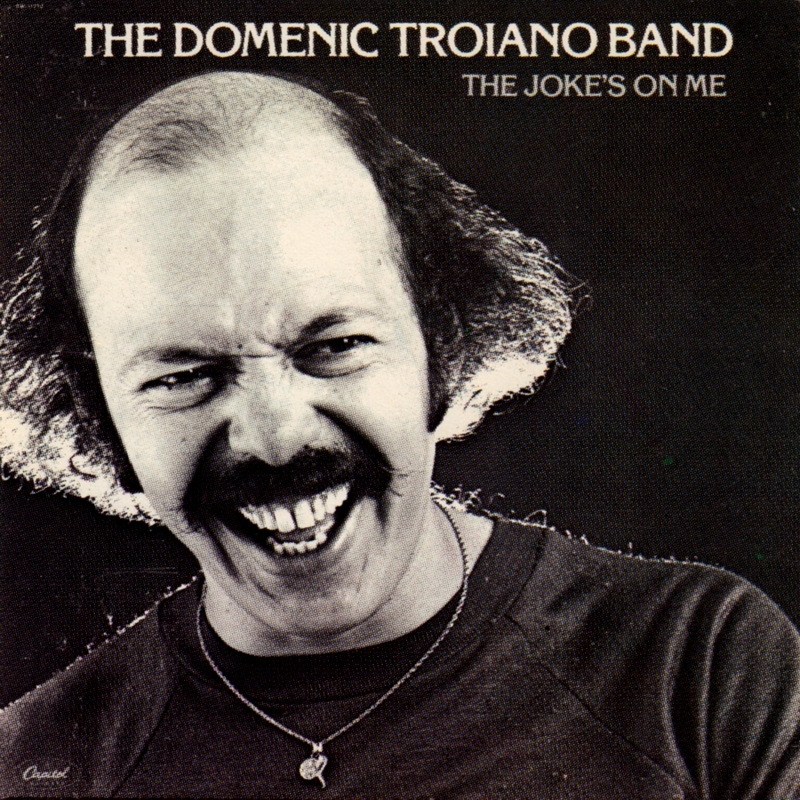 Domenic is pictured on the back cover of the sleeve with his bandmates surrounding him. With a bright light shining behind him casting a stellar shadow, he resembles a God-like figure. Some of the music on this album is indeed heavenly. This is my Troiano desert island album and definitely one of my all-time favorites. The songs here are strong and the band is excellent. Terry Brown's production is relatively sparse, but two keyboardists are used (only in the '70s!). Some of the keyboard tones are pleasant, but others sound dated by today's standards. Nonetheless, the material and Domenic's guitar playing completely make up for that flaw. Side two consists of three songs which are essentially one long piece. The result is arguably Troiano's masterpiece. The idea to link the songs together and create a side-long epic was brilliant. "Road to Hell" is a tough rock song with touches of jazz and funk played in a very strange time. A diabolical choir invades the song's finale, and it starts to sound like you've actually entered hell. That's when you're dropped off into the "War Zone." It truly is the sonic equivalent of a battlefield. The length, nearly 10 minutes, adds to the effect. After an instrumental introduction, the song sounds pretty normal, with a couple verses and a chorus which includes a synthesizer that sounds like a car alarm. The lengthy middle section includes instrumental solos, creepy keyboard sounds, and weird vocal effects. Near the end of the song, you begin to wonder if you'll ever see the light of day again. Just when you think there's no escape, the song segues into "Look Up," an absolutely ethereal piece of music. This is aural utopia. The song is a thoughtful and heartfelt ballad about turning to a higher power when things are bad. Yes, artists other than Christian performers can sing about faith and do it well. I think Domenic deserves a lot of respect for that alone. Why critics and the public didn't pay more attention to this album is a mystery to me. The Joke's on Me is Troiano's most unified album, in terms of musical style, delivery and concept. Dom wrote all of the songs on the album and he sings all of the lead vocals. You can find some of his best guitar work here, too. Troiano's heart and soul really come through in the album's words and music, especially on "Eleanora Fagan" and "Look Up". And can you name a balding rocker besides Domenic who would bare his head proudly on an album cover? It all adds up to music and an artist that is real, someone who isn't caught in the machinery of the music business. All of these reasons are why I think this is his best album; you really can't go wrong here. If you can find a used copy of it, consider yourself lucky.